Summer is rapidly approaching and that means our New Voices Award Writing Contest is now open for submissions! Now in its fifteenth year, the New Voices Award was one of the first (and remains one of the only) writing contests specifically designed to help authors of color break into publishing, an industry in which they are still dramatically underrepresented. Change requires more than just goodwill; it requires concrete action. 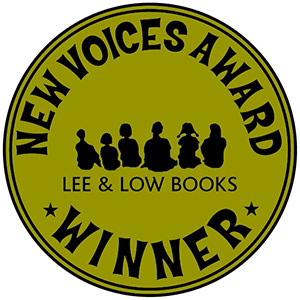 We were heartened by First Book’s recent commitment to purchasing 10,000 copies of select books from “new and underrepresented voices.” Likewise, the New Voices Award is a concrete step towards evening the playing field by seeking out talented new authors of color who might otherwise remain under the radar of mainstream publishing. It’s no secret that here at Lee & Low Books we value diversity – it is literally why we are in business. But we don’t always get down to the basics. Sharing the low numbers of books by/about people of color is not the same as convincing people we need more of them. Just dip your toes into the comments section of any major article about diversity in children’s books and you’ll see what I’m talking about. When you don’t convince people that the lack of diversity matters, what you get is more of the same. And in publishing, more of the same pretty much looks like this: BookCon, a major one-day event for readers in New York City, releases a lineup of 31 participating authors…and all of them are white. BookCon is the latest example and certainly a frustrating one, but it is by no means an isolated incident. It’s heartening to see so many recent articles covering the lack of diversity in children’s books, but the question is how that discussion can be turned into action on a large scale to change things. The status quo – massive underrepresentation of people of color – is like a huge, heavy boulder that needs to be moved. Awareness alone will not move it an inch. What’s required is a lot of people to give it a push.